If a picture is worth a thousand words, what’s a map worth? 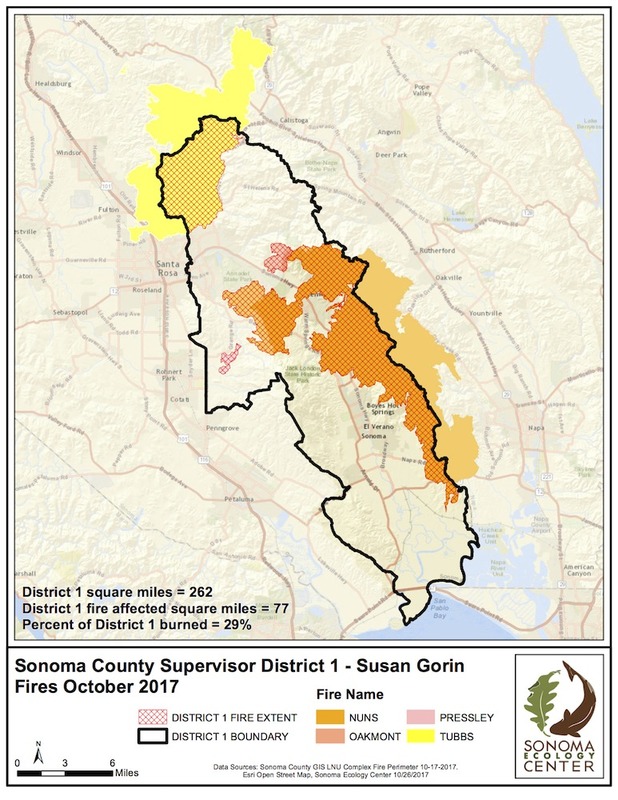 For many Sonoma Valley residents, maps displaying the regions burned in October’s wildfires have been invaluable. Three such maps produced recently by Alex Young, our geographic information systems (GIS) manager, were viewed, shared and commented upon widely by locals hungry for information on how the fires have altered our Valley’s landscape. The first map Alex produced, encompassing all of Sonoma Valley’s watershed, went viral on Facebook and was viewed by tens of thousands of people and shared hundreds of times. Valley residents appreciated the chance to see precisely where the Nuns and Oakmont fires spread, and to find their own home on a map showing that more than a quarter – 28.5 percent, to be precise – of the Valley had burned. “My house right on the edge. Happy to be safe,” noted Mike Minehan. 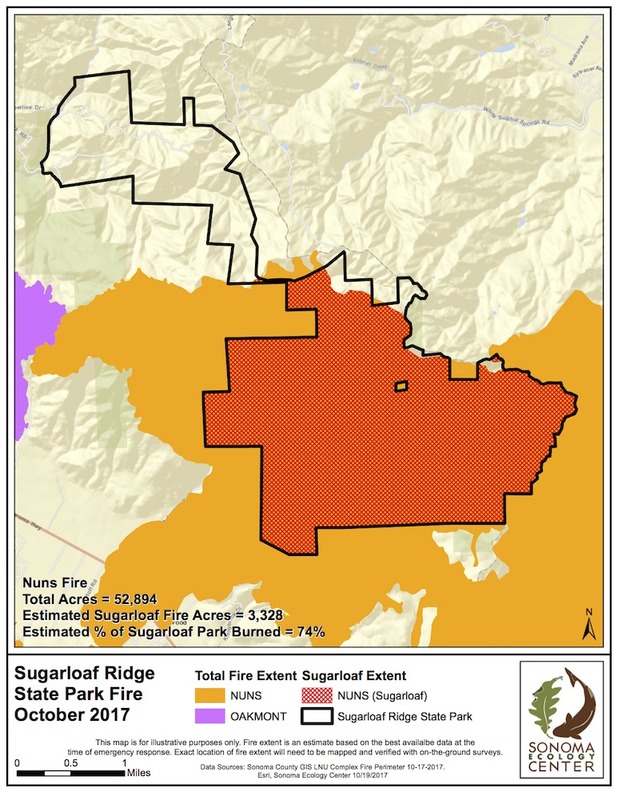 Alex made two other maps as well, one for Sugarloaf Ridge State Park (three quarters of which was burned by the Nuns Fire) and another for Supervisor Susan Gorin’s District One, which includes Sonoma Valley as well as regions to the north and west. Even those residents more focused on people are seeing the bright side of these fire maps. 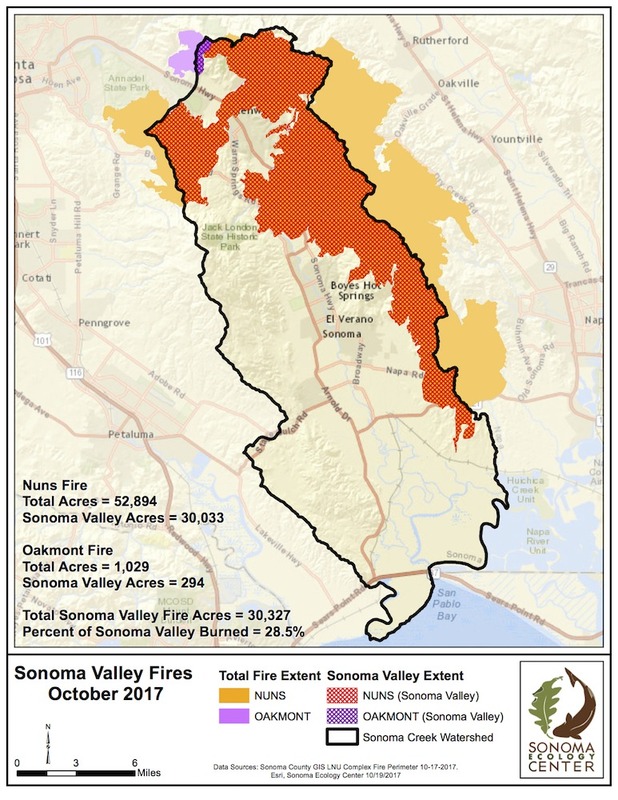 Shayna Billings pointed out that, sure, 28.5 percent of Sonoma Valley has burned – but that means 71.5 percent did not. Sonoma Ecology Center is committed to working with the community to make Sonoma Valley more thriving and sustainable than ever before. Anyone looking for useful information on ways to help is invited to click on the links below.